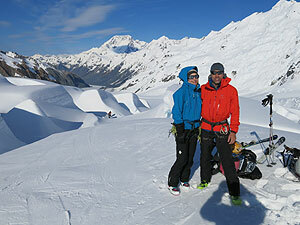 In October, Gary headed into the head of the Tasman Glacier, based at Tasman Saddle hut with clients Mark and Rachel. 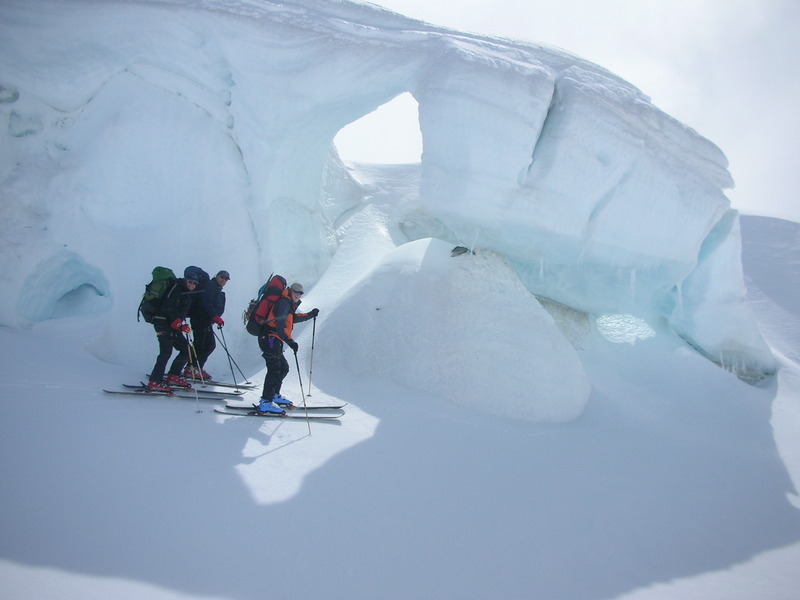 Learing the skills of ski mountaineering in preparation for a trip May 2017 to Denali. Cold snowy weather conditions provided perfect conditions to test gear , back country skiing / ski touring techniques , learn and apply technical mountaineering skills and weather and avalanche knowledge. 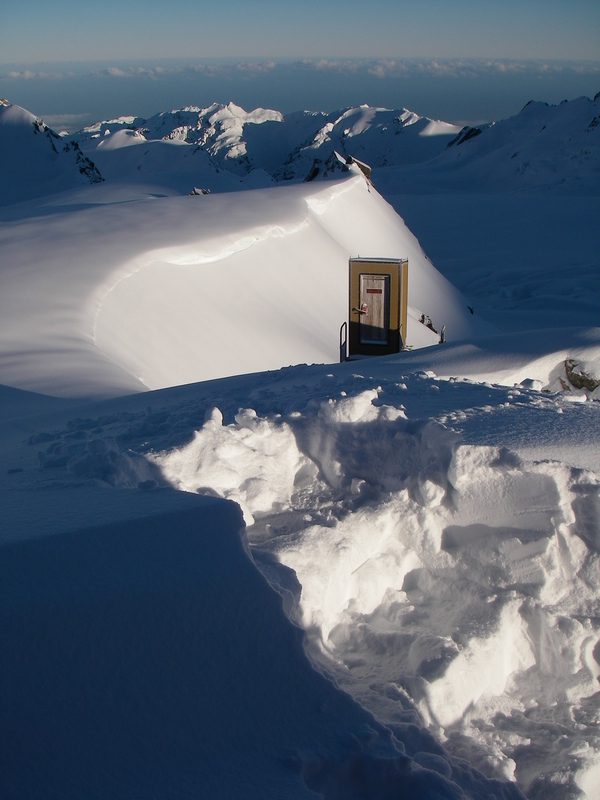 With all the fresh snow fallen a week ago, winter activities will be on many minds, here just a small selection of photos from past trips in the Southern Alps. 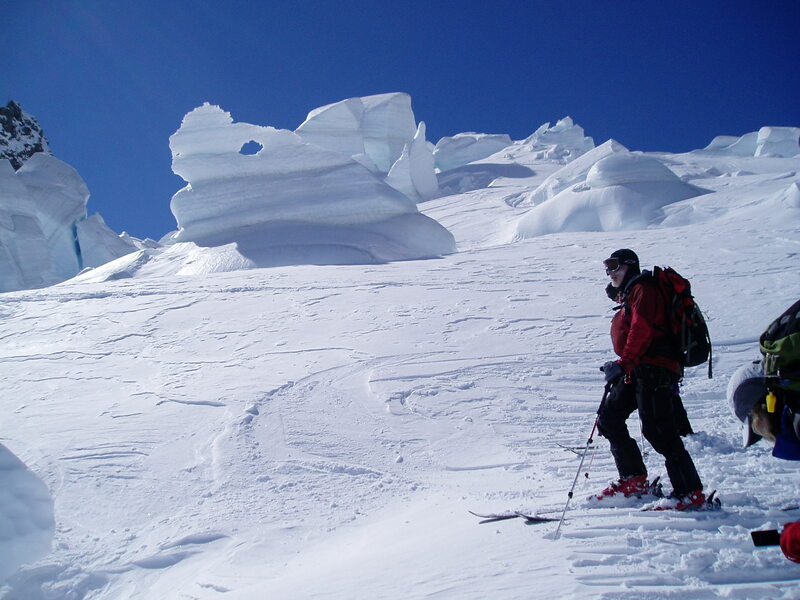 While some keen snow lovers are already out there ski touring somewhere in the mountains of New Zealand, remember that back country skiing amoungst glaciated terrain can still be very dangerous and the amount of snow fallen has by no means filled up the crevasses nor made the bergschrunds safe just yet. Enjoy but make sure you have the skills out there. 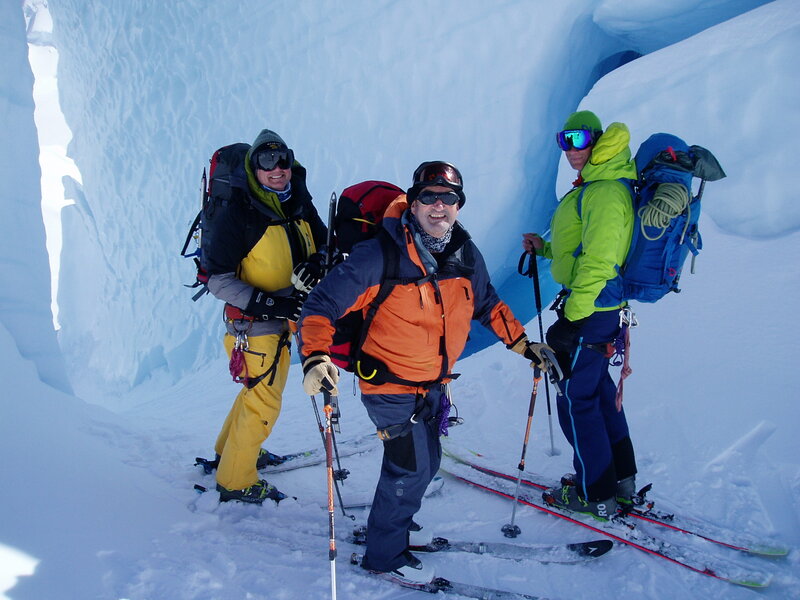 Courses are offered by top mountain guide instructor Gary Dickson, IFMGA expert in NZ. 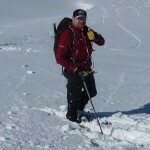 His next job is instructing/assessing in Iceland again, helping the professional glacier guides with quality standards in the industry. But before we leave, the annual general meeting of NZMGA is on the agenda where he’ll act as Mr President. 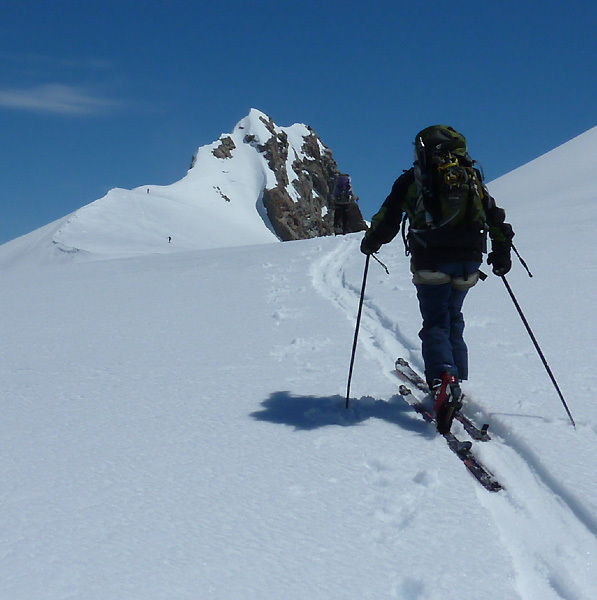 The first ski tour has been put on the schedule and if you – or anybody you know – are keen on an NZ back country ski tour late winter/spring with chief guide Gaz, at this stage you have the choice from 23rd September on wards. 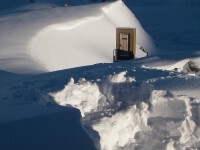 We can be reached any time via email, just beware that occasionally we might be out of touch longer than usual, sitting in plane, or otherwise relocating in the Swiss Alps without the online setup. 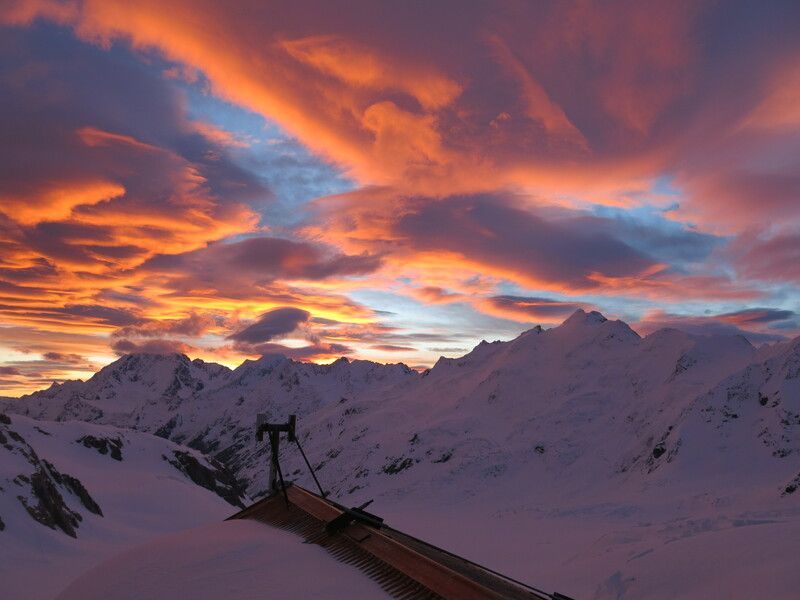 It’s the best time here in New Zealand. 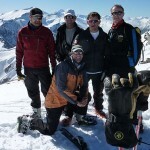 Need any help to organise your dream ski tour in the Southern Alps? this is the moment to contact us! 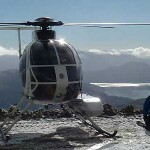 One of the local Wanaka policemen turns 40… a keen back country man with a bunch of like minded friends. His fantastic wife shouts him a helicopter trip to the top of black peak and we fill the spare seats…what else would good friends do! Did you crash by any chance? 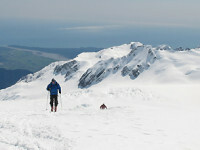 Touring gear allowed for a few more laps to ski the good snow, before we needed to tour over toward the treble cone summit ridge. 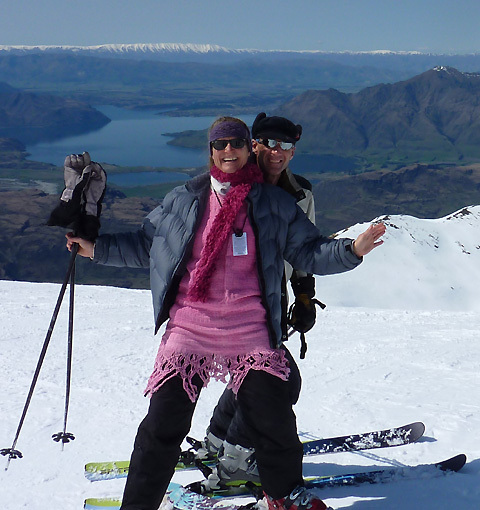 Birthday boy is flying out to do UN duty in Timor for 6 months so a few photos of his back yard to show the Timor locals and then wobbly tired legs have us skiing down the familiar slopes of Treble Cone to the vehicle and the customary re-hydration(beers).